What compels a person to strap a vest loaded with explosives onto his body and blow himself up in a crowded street? Scholars have answered this question by focusing on the pathology of the “terrorist mind” or the “brainwashing” practices of terrorist organizations. 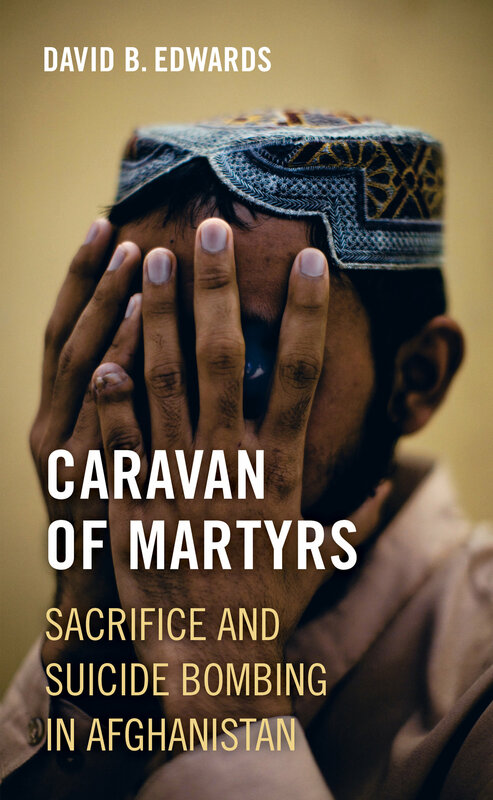 In Caravan of Martyrs, David Edwards argues that we need to understand the rise of suicide bombing in relation to the cultural beliefs and ritual practices associated with sacrifice. Before the war in Afghanistan began, the sacrificial killing of a sheep demonstrated a tribe’s desire for peace. After the Soviet invasion of 1979, as thousands of people were killed, sacrifice took on new meanings. The dead were venerated as martyrs, but this informal conferral of status on the casualties of war soon became the foundation for a cult of martyrs exploited by political leaders for their own advantage. This first repurposing of the machinery of sacrifice set in motion a process of mutation that would lead nineteen Arabs who had received their training in Afghanistan to hijack airplanes on September 11 and that would in time transform what began as a cult of martyrs created by a small group of Afghan jihadis into the transnational scattering of suicide bombers that haunts our world today. Drawing on years of research in the region, Edwards traces the transformation of sacrifice using a wide range of sources, including the early poetry of jihad, illustrated martyr magazines, school primers and legal handbooks, martyr hagiographies, videos produced by suicide bombers, the manual of ritual instructions used by the 9/11 hijackers, and Facebook posts through which contemporary “Talifans” promote the virtues of self-destruction. David B. Edwards is Professor of Anthropology at Williams College. He is the author of Heroes of the Age: Moral Fault Lines on the Afghan Frontier and Before Taliban: Genealogies of the Afghan Jihad. "Such a beautifully written and imaginative work comes along rarely—at once a deeply felt personal memoir about the author’s anthropological encounters with Afghanistan and a highly original theory about suicide bombing as sacrifice. Anthropologists of religion, violence, and Afghanistan will surely read this book, but so too should the journalists who cover Afghanistan and the policy makers whose decisions inextricably determine this fragile, exhausted country’s fate. They will appreciate the power of Edwards’s anthropological lens. "—Steven C. Caton, Khalid Bin Abdullah Bin Abdulrahman Al Saud Professor of Contemporary Arab Studies, Harvard University "David Edwards is one of the world's keenest chroniclers of how culture shapes, and is shaped by, war. In his most ambitious book yet, he turns his critical eye on the cult of human sacrifice that has overwhelmed and transformed the decades-long conflict in Afghanistan, forever altering Afghan political culture. Edwards's skill as a scholar and raconteur is surpassed only by the tragedy of the story he tells. "—William McCants, author of The ISIS Apocalypse: The History, Strategy, and Doomsday Vision of the Islamic State "This book is basically a tour together with the author through Afghanistan during the mid-1980s until the present. It takes you in gently to the world of suicide attacks and martyrology. Each chapter brings you closer and closer to the type of nihilistic violence so commonly seen today. "—David Cook, Professor of Religion, Rice University? ?